Munich - VfB Stuttgart and VfL Wolfsburg go head to head at the Mercedes-Benz Arena in Saturday evening's rearranged kick-off (20:45 CEST) - a repeat, incidentally, of the two sides' meeting on the final day of last season. The match, which also sees Wolves' coach Felix Magath return to face one of his former sides, was rescheduled to give Stuttgart an extra day to prepare for the second leg of their UEFA Europa League play-off return against Dynamo Moscow. VfB won the first leg 2-0 last Wednesday. Stuttgart's place on the continent was earned on the back of a streak of wins at the end of last term which saw them finish sixth in the league. They lost only one of their last twelve Bundesliga matches, winning eight and remaining unbeaten in their last seven encounters at home. One of their victims during that fruitful spell were Wolfsburg, sent home with a 3-2 defeat on Matchday 34 back in May. Captain Serdar Tasci will be available for the hosts, despite breaking a bone in his hand in the game against Dynamo - meaning Stuttgart will only be missing midfielders Daniel Didavi, back from his successful one-season loan spell with Nuremberg, and Johan Audel. 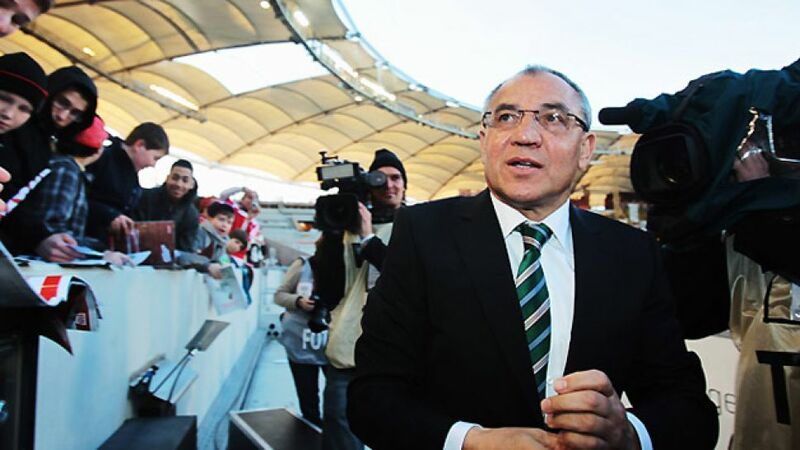 Wolfsburg boss Magath has set some lofty targets for the new season after his side missed out on qualification for Europe last season, saying, "We want to make a better go of things than we did last time around and take one of the top places in the Bundesliga this season." One man very much in the spotlight will be Wolfsburg playmaker Diego, who spent last season on loan at Atletico Madrid after falling foul of Magath. The coach now expects the gifted Brazilian international to play a pivotal role in his revamped team. Magath has also acquired striker Bas Dost, who scored 32 times in 34 games for Dutch side Heerenveen last term, as well as Bayern Munich's Ivica Olic to replace departed striker Mario Mandzukic (to Bayern) and defensive duo Emmanuel Pogatetz (from Hannover 96) and Naldo (Werder Bremen). New Czech midfielder Vaclav Pilar and forward Patrick Helmes both have torn cruciate knee ligaments in pre-season and will be out for around six months, while Josue continues to suffer from a thigh problem and will not be available against Stuttgart.